Lock in a great price for Albergue Outeiro – rated 8.9 by recent guests! The staff member was very friendly. Spotlessly clean. Very nice staff, clean, modern. Nice kitchen, vending machine with coffee, drinks. Lots of clothesline space! We were welcomed by Manuel, who made sure that we felt at home immediately after our second day of the Camino De Santiago. My friend and I were lucky enough to get a room to ourselves. 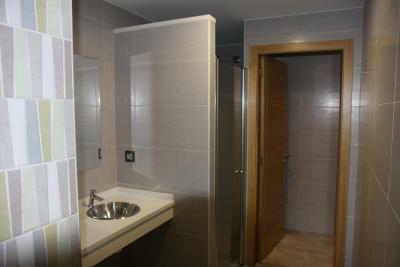 Comfortable, clean and only about 100 metres from the nearest bar, restaurant or supermarket. I’d recommend staying here if doing the Camino De Santiago. Manuel( staff) was very helpful! We wanted to eat paella and he phoned around to the restaurants to find out who would make it for us! Perfect albergue for pilgrim. Clean and small room. Really comfortable . Nice kitchen to cook with fridge and a distributor for drinks. They give a blanket as well and terre is a small wardrobe to let your things inside. I recommend ! A small bar/restaurant front if you need something !! They had such soft blankets. The rooms were small and quiet. The staff were super friendly and went out of their way to be accommodating. Albergue Outeiro in Palas de Rei provides accommodations with a terrace and a shared lounge. Free WiFi is available. Lugo is 23 miles from the hostel, while Portomarin is 19 miles away. 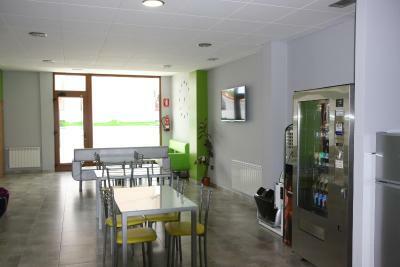 The nearest airport is Santiago de Compostela Airport, 37 miles from Albergue Outeiro. 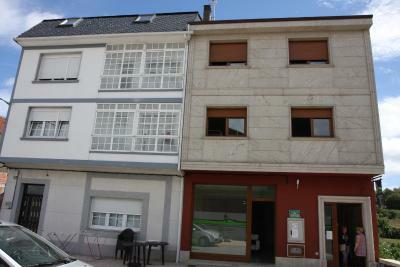 This property is also rated for the best value in Palas de Rei! Guests are getting more for their money when compared to other properties in this city. When would you like to stay at Albergue Outeiro? This dormitory room has a tea/coffee maker, tile/marble floor and private entrance. House Rules Albergue Outeiro takes special requests – add in the next step! Albergue Outeiro accepts these cards and reserves the right to temporarily hold an amount prior to arrival. New, modern, spotlessly clean. Warm, friendly greeting by the owner. Great kitchen. Nice and warm on a cold, rainy day. Easy to locate...a very clean and spacious Alburgue. Friendly staff and well equipped kitchen. Heating came on in the evening. Great stuff. Good lounge room. Wish we slept on the same floor as the bathrooms. Noise from common areas travelled up to the bedroom areas. People were up late in the common area and this affected my sleep. Only 4 sockets in the room (for 8 people). These were not located next to the beds but in the middle of rooms. Nice rooms with not many beds in there. My room had just 4 bunk beds. Out of 8 people, only 4 were sleeping in the room - nice change compared to the other albergues. Huge balcony belonging to the room :-) Very nice bathroom (though only one shower and one toilet for 2 rooms) Close to the centre and close to the Camino frances trail. Helpful staff, great location with a view over the mountains. Near the centre but in a calmer place. Rooms are clean and moderns. Electricity sockets a bit far from the beds, but it seemed like there was enough of them. Very convenient hostel. Nice female-only room, good and clean showers. There was a nice terrace outside the room. 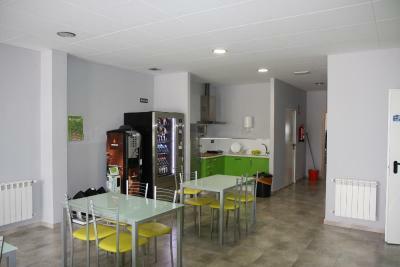 The common area and the kitchen were great. One-time bed sheets were supplied. If you are not Koreans, don’t stay there. The owner prioritise the best beds to them. He even asks you to change bed if Koreans like more of the location of your beds!! Nothing, the hostel is within easy reach of everything.